Royal Enfield will soon launch new variants of the Thunderbird cruiser motorcycle. Called the 350X and 500X, these new variants are launching on the 28th of February, 2018. Both motorcycles get new styling, colours and new features. 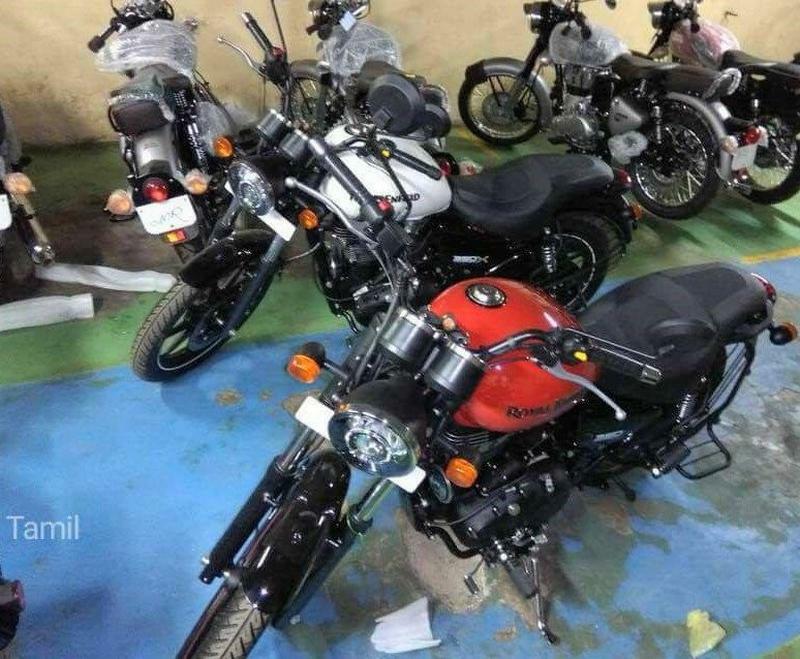 Their design seems inspired by the Harley Davidson Street 750X, and both the Thunderbird 350X and 500X are likely to be pricier than the current versions. Prices of the 350X is likely to start from around Rs. 1.6 lakh while that of the 500X could start from Rs. 2 lakh. This means a premium of around Rs. 10,000 each for both bikes when compared to the current Thunderbird 350/500 range. The main changes on both the 350X and 500X will be stylistic. Both bikes will now be available in bright colours such as electric blue, sunny yellow, pearl white and candy red. The engine gets blacked out for contrast and there’s a satin finish for the headlamp surround and the meter console. The seat is a new item, footpegs have been moved to the front for a cruiser riding position and the mudguard has been chopped for a more authentic cruiser motorcycle stance. The motorcycle also get blacking out on the exhaust muffler. The handlebar is now wider and flatter. Spoked wheels have been replaced by alloy wheels. 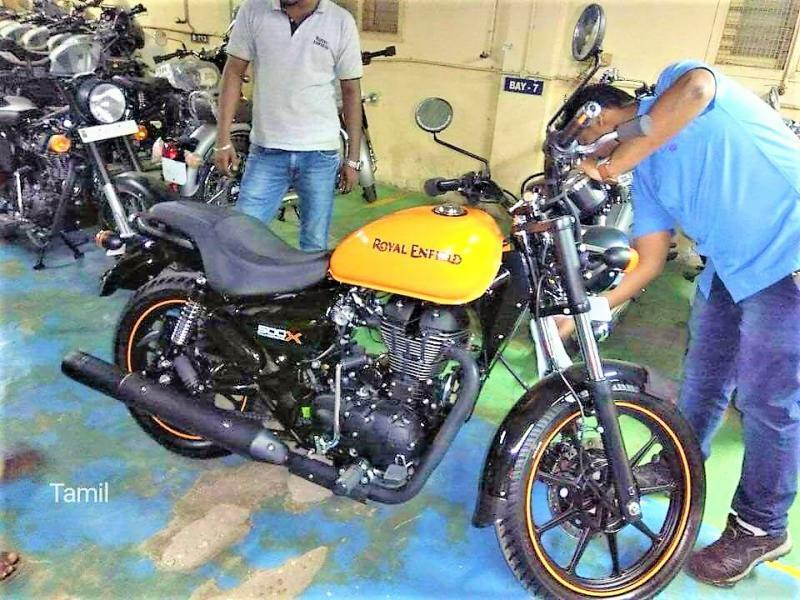 Royal Enfield could also offer tubeless tyres. Apart from these changes, the Thunderbird 350 X and 500X motorcycles remain mechanically similar to the current Thunderbirds. The 350cc version uses a 350cc engine with 19.8 Bhp and 28 Nm. The 500cc version uses a 50cc engine with 27.2 Bhp and 41.3 Nm. Both engines get 5 speed manual gearboxes as standard. There are hydraulic front and rear disc brakes, telescopic front forks and gas charged rear shock absorbers as other key cycle parts. The motorcycles also retain large, 21 liter fuel tanks. While the 350cc engine is carbureted, the 500cc engine is fuel injected.